American Bakeware Classics, incredible pans - incredible value! 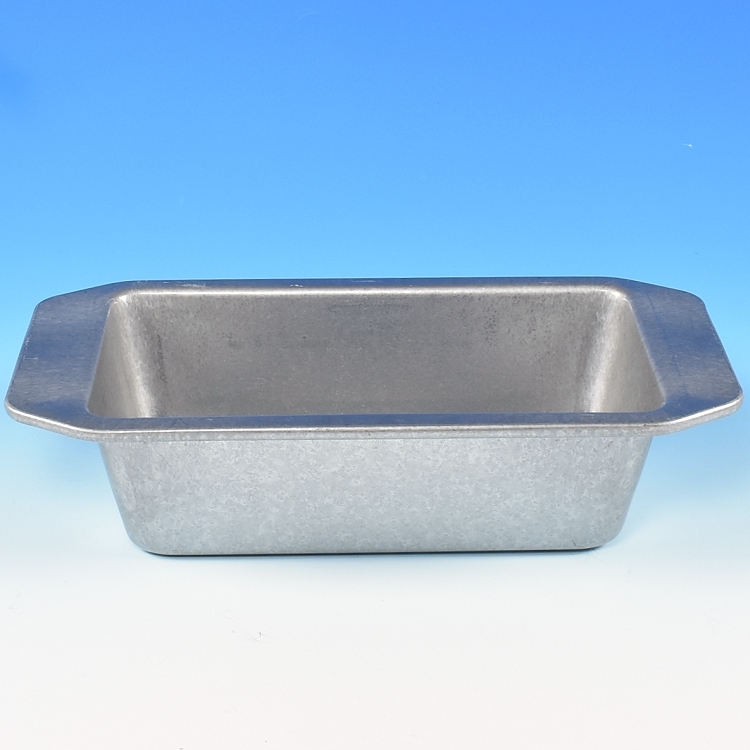 Bakeware pressed from aluminized steel, formed with convenient grip handles. Each pan is coated with a clear, non-stick silicone coating that is specially formulated for baking. Without PTFE or PFOA. Unique feature of USA Pan bakeware is their fluted surface design. The fluted surface facilitates air circulation that evenly bakes product and is easily released. Surface also maximizes pan strength and prevents warping and denting. 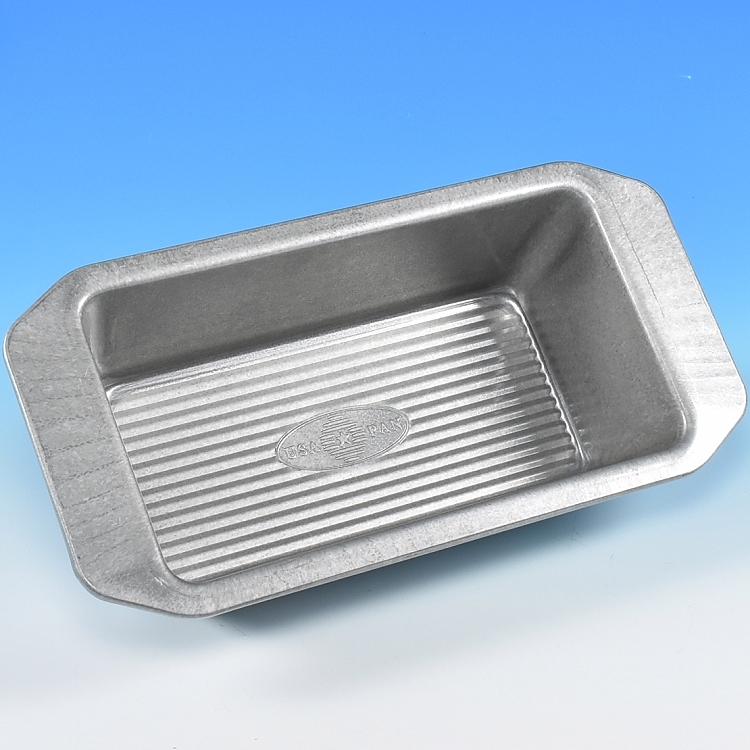 Loaf Pan - 8 1/2" x 4 1/2" x 2 3/4"
Professionally Trusted. Family Approved. 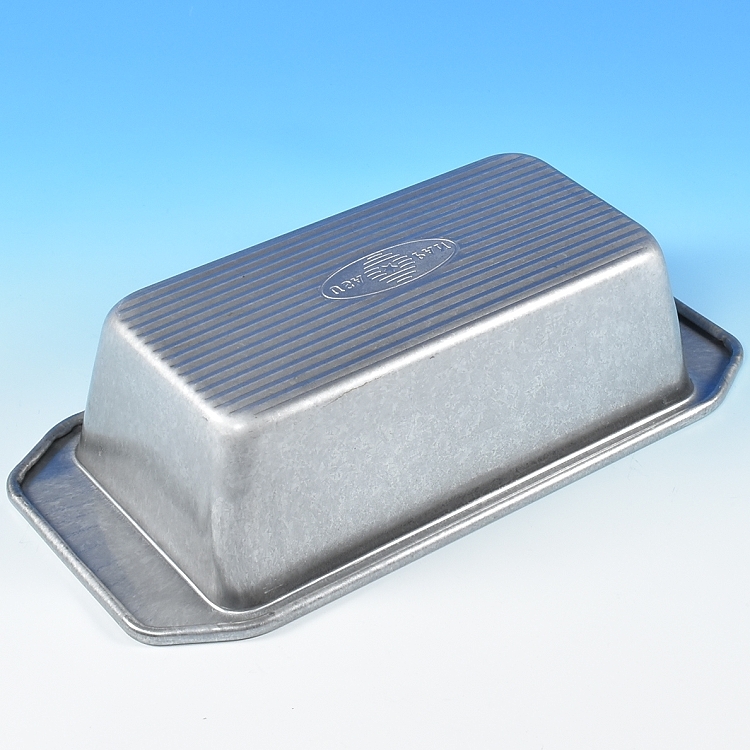 For over 50 years, USA Pan has been providing the highest quality baking pans, made right here in the USA.